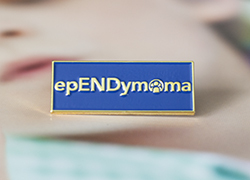 With your generous support, we will continue to expand our efforts to improve the care and outcome of people with ependymoma. The CERN Foundation is currently engaged in a range of community outreach programs and support efforts designed to have a positive impact on the lives of children and adults living with ependymoma, as well as their families and caregivers. Please consider supporting our efforts. 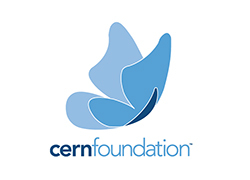 The CERN Foundation is a 501c3 nonprofit organization. Your involvement is critical to our success. Below are some examples of ways you can help. You can create your own fundraising campaign or event and encourage others to donate by sharing your custom web page with your family and friends! You could participate in a local run, hold a bake sale or cook-off, create a lemonade stand, hold an event at a local restaurant or bar, have a balloon or butterfly release, or sell t-shirts or bracelets. Be creative! Below are some examples of events others have created. 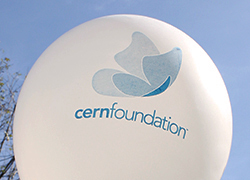 Contact us to help you with your fundraiser: administrator@cern-foundation.org. 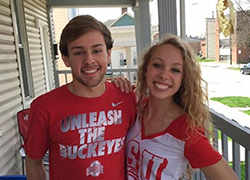 Tyler's girlfriend, Nicole, holds fundraiser at a local bar to raise funds for the CERN Foundation and give parents ultimate Christmas gift. 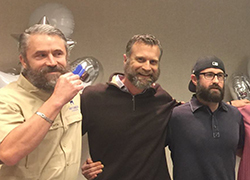 Hotchkiss Insurance held a “No Shave” contest and fundraiser for the month of November to support Diane and raise funds for the CERN Foundation. 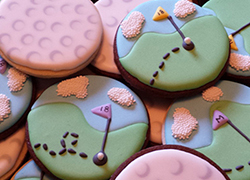 Bake shop owner, Maria, decided she wanted to help out a family affected by ependymoma, the Neal family, while supporting the CERN Foundation. 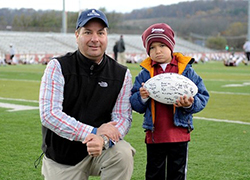 The Colgate Uplifting Athletes chapter hosted an Ependymoma Awareness football game to fundraise and support the CERN Foundation. Make a donation to help support our mission! For every $25 raised, a butterfly will be released at our annual Ependymoma Awareness Day in honor of you or your loved one. We welcome any financial donations either online or by mail. Learn more about the projects CERN is currently supporting. Checks can be made payable to the CERN Foundation and sent attention to: CERN Foundation, PO Box 217, Zionsville, IN 46077. Please also include your name, address, and telephone/e-mail address so that we may send you a receipt of your donation for tax purposes and express our gratitude. Please make notation of in honor or memory of your loved one and include their address or e-mail address so they will receive an acknowledgement or an eCard. 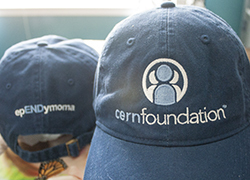 Show your support of the CERN Foundation by purchasing a hat, lapel pin, balloons, temporary tattoos or buttons! Wear these items with pride to help create awareness of this rare disease.